You may have noticed our staff wearing Bandanas this week. This is to support canteen National Bandana Day which is held on Friday the 26th of October. 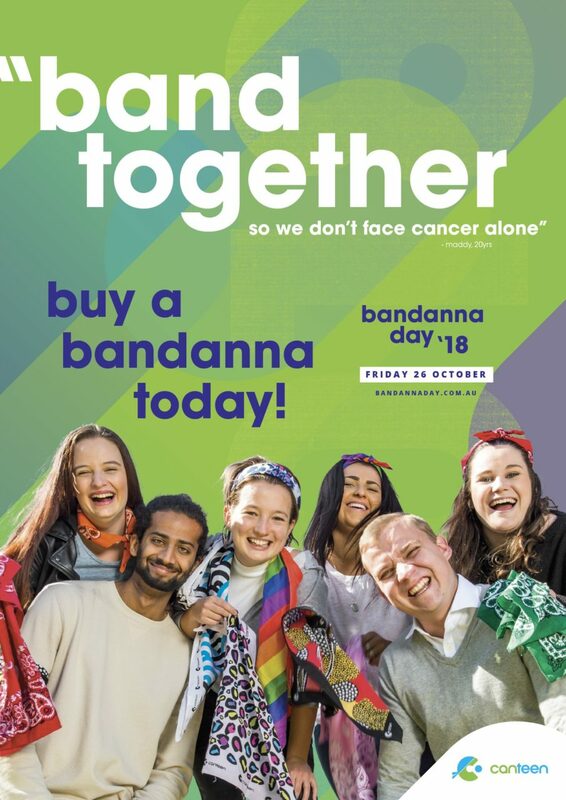 We have Bandanas available to purchase for $5, Silk Bandanas for $15 and Pens for $3 you can purchase these at the reception desk or in the Pharmacy.